Wairarapa-Bush coach Joe Harwood is well aware of the dangers facing his team as they prepare to take on perennial cellar-dwellers East Coast in round three of the Heartland Championship at Ruatoria today [2.30pm]. East Coast have finished last in the competition in each of the previous four seasons, and the first two weeks of this year’s competition suggest that may not change any time soon. They went down 17-75 to King Country in week one and then 8-46 to Horowhenua-Kapiti last weekend. But Wairarapa-Bush have had their own struggles and are yet to register a win, after losing 22-27 to Poverty Bay and then 32-44 to Thames Valley. East Coast will be targeting this match as a golden opportunity to put some points on the board, and that is something Harwood is keen to avoid. “I think it’s a really dangerous match for us, as they all are. The selection of the Wairarapa-Bush team indicates a desire to play for territory, with four personnel changes to the team that lost last week, as well as three positional switches. Inia Katia returns to his preferred position at halfback at the expense of Paddy Gluck after spending the first two weeks at fullback, while Tipene Haira moves from second five-eighth to fullback. Matt Henderson comes in at centre with Mike Lealava’a shifting to second five, while Soli Malatai replaces Nick Olson on the left wing. In the pack, Ryan Knell comes in at openside flanker in place of Marcus Ale, while Lachie McFadzean replaces Andrew Smith at lock. Harwood said the reshuffled backline would help them execute the desired game plan. “We know they [East Coast] love to use the pick and go and one-off runners so it will be a pretty hard slog. On the bench, halfback Daryl Pickering and midfielder Robbie Anderson are in line to get their first taste of Heartland Championship rugby in 2018. Anderson comes in after being unavailable through the first two rounds, while Pickering gets his chance after playing well for the Wairarapa-Bush Development side. “Robbie has always been part of the squad but had been unavailable and he brings experience and backline cover,” Harwood said. Defence will be a major focus for Wairarapa-Bush today, particularly around set piece after Thames Valley gained easy metres at will last week. “Our set piece defence needs to be better, especially off scrums,” Harwood said. Tipene Haira, Tristan Flutey, Matt Henderson, Michael Lealava’a, Soli Malatai, Glen Walters, Inia Katia, Kirk Tufuga, Ryan Knell, Tavita Isaac, Lachie McFadzean, James Goodger [c], Max Tufuga, Nicholas Hohepa, Sam Gammie. Reserves: Lance Buchanan, James Pakoti, Marcus Ale, Epeli Rayaqayaqa, Daryl Pickering, Robbie Anderson, Nicholas Olson. 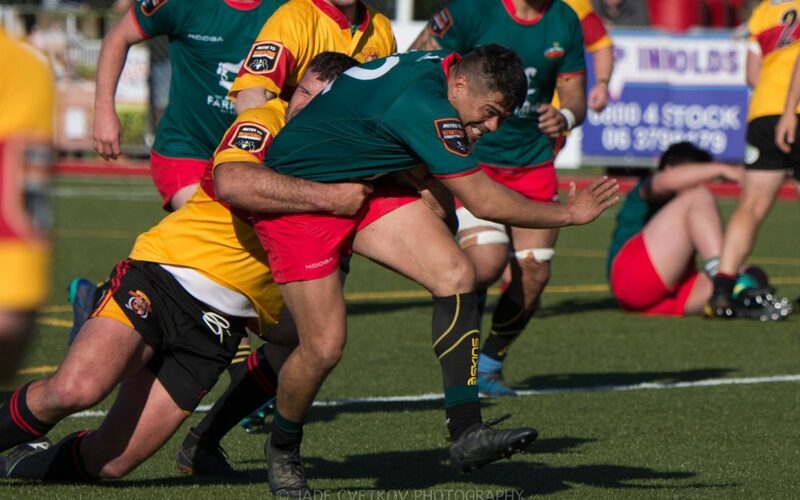 King Country 10, Wanganui 9, North Otago 9, Horowhenua-Kapiti 7, Mid Canterbury 7, Thames Valley 6, West Coast 5, Poverty Bay 5, Buller 3, Wairarapa-Bush 2, South Canterbury 1, East Coast 0.